This is not a compendium of the only or even the most generous breweries, just a handful that not only serve their community by proffering fresh beer, but by pouring out their souls as well, through generous donations and volunteerism. During this season when we focus on giving thanks, thank goodness these breweries have their hearts, check books, and mash tuns in the right places. I found myself at this brewery in a part of Vermont so far north, my smart phone mistakenly charged me for roaming in Canada. Having said that, the brewery’s roots are in Afghanistan. 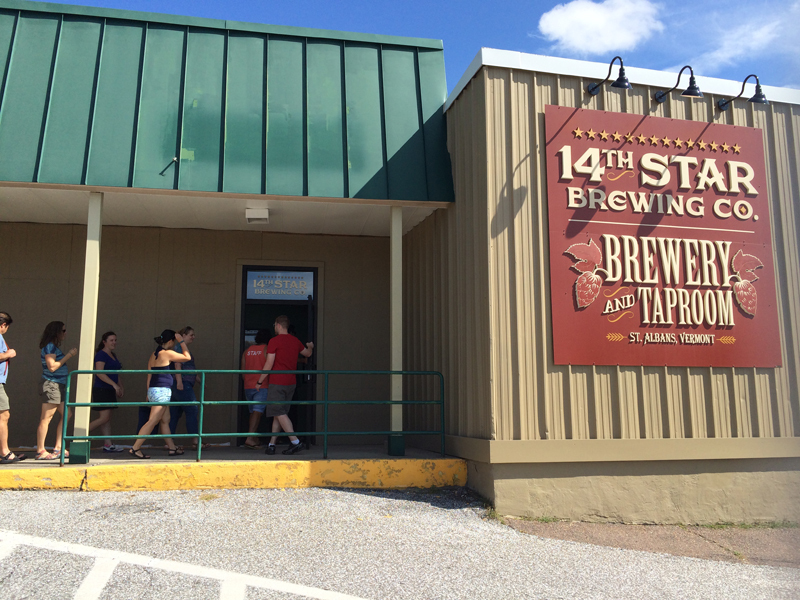 That’s where Steve Gagner was deployed when, in 2010, he helped draw up a business plan for 14th Star Brewing Co. (133 N Main St #7). Today, business is booming and it recently expanded into an old bowling alley. In part, that’s thanks to popular brands such as Valor, a hoppy amber ale. A portion of all Valor’s sales goes to Purple Hearts Reunited, a foundation that reunites missing medals of valor with their rightful soldiers or families. But it’s not just some proceeds from Valor earmarked for charity. Last year alone 14th Star donated some $130,000. The brewery gives to three other veterans organizations—the Vermont National Guard Charitable Foundation, Veterans Count (to care for veterans and their families) and the Josh Pallotta Fund, named for a local soldier who, after suffering from traumatic brain injury and post-traumatic stress disorder, took his life. When I met co-owner and CEO Andrea Gagner, Steve’s wife, she said, “Beer is what we make. Community is what we create.” She rattled off many other local organizations for which they’ve raised money and held fundraisers, including homeless and battered women’s and animal shelters. Truly, the Tribute DIPA, while extremely bitter, has a sweet spot for all the local veterans and civilians. And since it’s Vermont, naturally there’s a new double IPA, B-72, bursting with juicy grapefruit character in the telltale Vermont-style, that’ll have you thanking the brew crew. “I was playing for the Mariners at the time,” begins Chris Ray, co-founder of Center of the Universe Brewing (11293 Air Park Rd.) and he’s not telling tales. Ray pitched six years in the majors. He began homebrewing while still with the Orioles and, scheming to launch a professional brewery, he “had to tie it into baseball. Our military heroes, baseball, and beer: it doesn’t get much more American than that.” That’s how Homefront IPA came about. While it features orange zest, the real star is the wood aging: it’s aged on real (non-finished) Louisville Sluggers. While the technique is admittedly a novelty, 100 percent of both the beer and the auctioned, beer-stained bats raise money for Operation Homefront, which assists military troops and their families. And that beer is now brewed by 10 breweries including the likes of Stone Brewing, Cigar City Brewing, and Fremont Brewing, so there’s 10 times the fundraising. COTU also holds other huge fundraisers such as one for the Byrd Theater Foundation to preserve a historic theater in Richmond just south of Ashland. It’s called The Big LeBYRDski and if you hurry to COTU’s atomic-age-themed tasting room that happens to feature a whole wall of pinball machines, you can still try El Duderino, the seasonal White Russian Milk Stout brewed for the occasion. Community-oriented since the day it opened in 2013, Stone’s Throw (402 E. 9th St.) is fittingly in Little Rock’s historic MacArthur Park district—an old German neighborhood needs a brewery. Brewed along the Arkansas River, beers such Bremerhaven Alt are named after biergartens operated here before Prohibition, although some are decidedly un-Reinheitsgebot takes, including Off the Wal-nut Milk Stout and adjunct-boosted Kornfed Cream Ale. All are best enjoyed at one of Stone’s Throw’s al fresco picnic tables. Stone’s Throw selects a local charity each month as the beneficiary of its #HOPSandHOPE program, wherein on Tuesdays, the organization receives a dollar from every pint. Co-owner Ian Beard says recipients have included a foundation for Epilepsy patients, a community garden, an LGBTQ youth support group, and historic preservation societies. Additionally, Stone’s Throw hosts “Block on the Rock,” an anniversary block party that raises funds for Preserve Arkansas acting on a statewide level. Owing to MacArthur Park’s cultural roots, Amadeus Vienna Lager is the most popular pint on draft. This winter, warm up your innards with Black Hops CDA or, for malt heads, Dos Cabras Dopplebock. Virtually ever beer lover is intimately familiar with Anchor Steam. 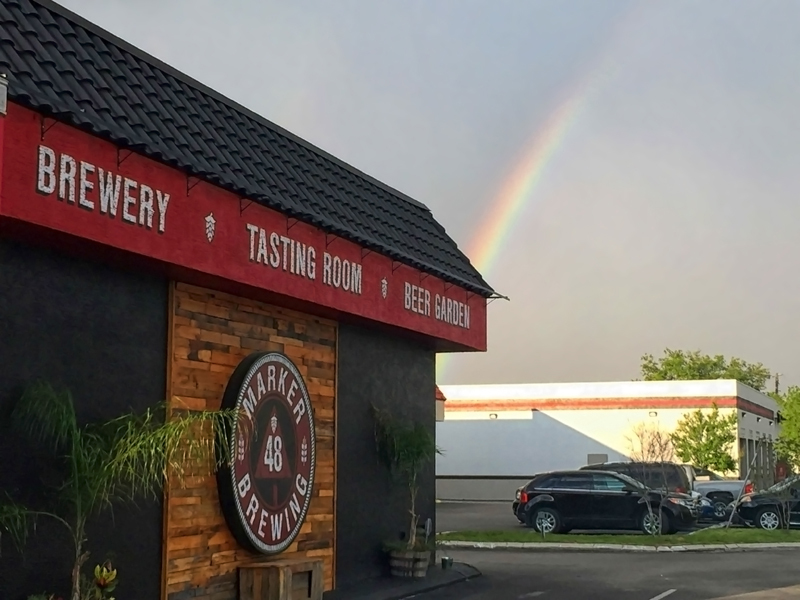 It’s no exaggeration to say that Anchor Brewing Co. (1705 Mariposa St.) bears much of the credit for inspiring and supporting the independent American beer culture since now-retired Fritz Maytag relaunched it in 1965. But Anchor’s role as industry patron continues well into Anchor’s third phase. 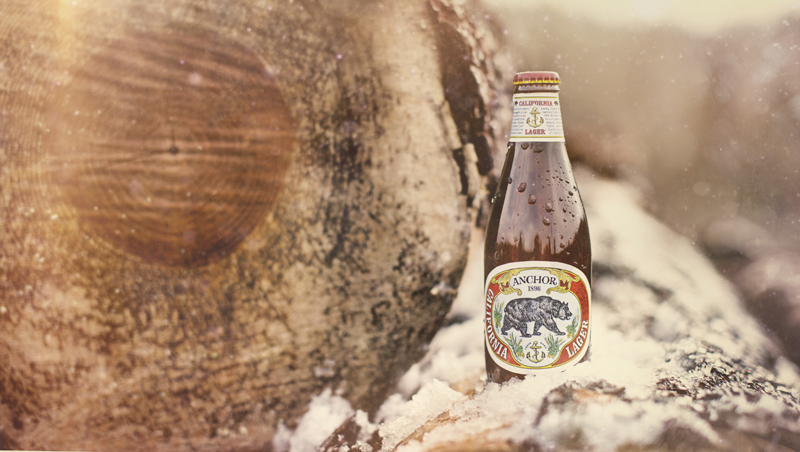 The company extended its partnership with California State Parks Foundation (CSPF) and a portion of proceeds from Anchor California Lager goes toward CSPF’s conservation efforts. From the redwood forests Woody Guthrie sang about to the wetlands around the San Francisco Giants’ old home at Candlestick Point, each sip of this tasty, toasty lager helps protect the Golden State’s immense natural beauty. And while the Giants’ season came to a close in October, Anchor’s new pop-up-style beer garden at The Yard at Mission Rock (100 Terry A Francois Blvd.) is open year-round and is paces from the team’s current home at AT&T Park. It’s an ideal place to enjoy an iconic Anchor Steam or the fantastic new Dry Hopped Anchor Steam. As a Portland resident, I believe all, or certainly nearly every brewery raises money through one program or another for countless local charities and institutions. Oregon’s largest brewing companies, including Widmer Brothers Brewing, Deschutes Brewery and Ninkasi Brewing Co., have each raised millions of dollars. 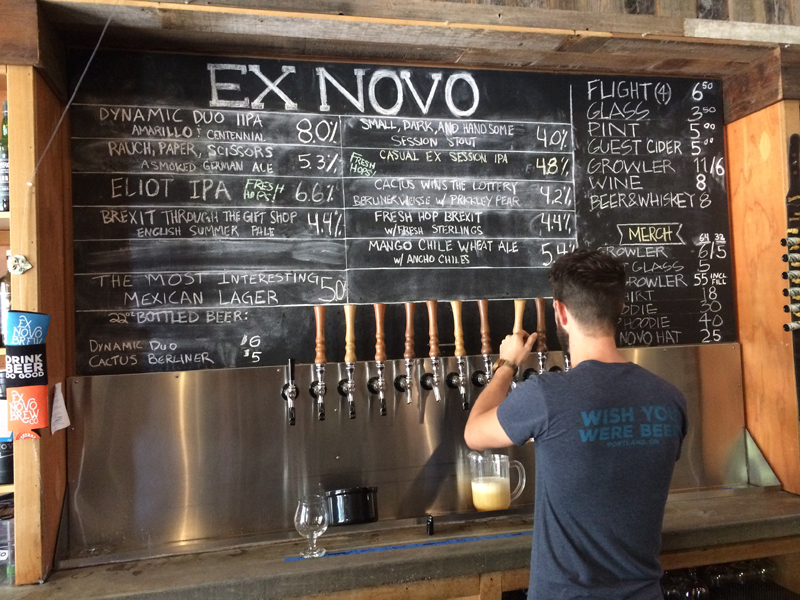 But since opening in 2014, Ex Novo’s mission is to contribute all—yes, all—of its profits (that don’t get redirected to infrastructure improvements, which is not code for lining any pockets) to its four primary nonprofit partners. The brewery’s slogan is, “Better beer for the greater good.” The initial goal is to divvy up one hundred grand to Mercy Corps (the globally focused humanitarian aid project headquartered in Portland), Friends of the Children (providing commitment assistance to at-risk youth), International Justice Mission (protecting the poor from violence), and Impact NW (promoting independence for kids and adults by providing skills training and resources for 40 years). On top of this, Ex Novo organizes a monthly meet-up, Communitas, where perhaps some 30 volunteers go around being do-goodniks. Afterward, they can head back to the pub for a pint as a token of the brewpub’s appreciation. Often times that pint will be the flagship, Eliot IPA (named for the Eliot neighborhood) but Thanksgiving is the season to shake out the moths in those ugly sweaters and drink Liquid Sweater, a 7% winter warmer akin to a blend of a Scotch ale and a porter. As Andrea Gagner from 14th Star said, “People really do want to help, but most don’t know where to start. By hosting these fundraisers and creating a central location for those to direct their efforts, not only are we able to do wonders for our community, but it gives some people purpose. It gives them somewhere to go where they know they can help, they can make a difference.” Here’s to all your heroic efforts traveling and supporting communal breweries during the holidays. Have you heard about the Spital Brewery which is a foundation brewery since 1226. Brewing in Regensburg, Germany since 1226 is the oldest foundation non-profit brewery in the world.